Karachi Halwa also known as corn starch halwa or rubber halwa offers an amazing taste to satisfy your sweet tooth. This great Indian sweet delicacy is a sindhi halwa that has got a jelly like texture that makes it stand out from the rest of the sweets and halwas. 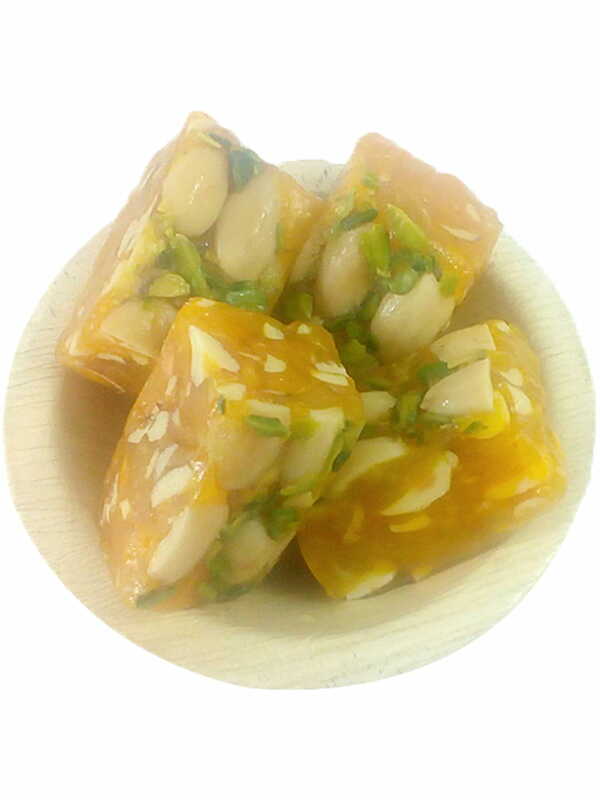 The main ingredient in the Karachi Halwa Badam is Badam (almonds) as its name suggests. 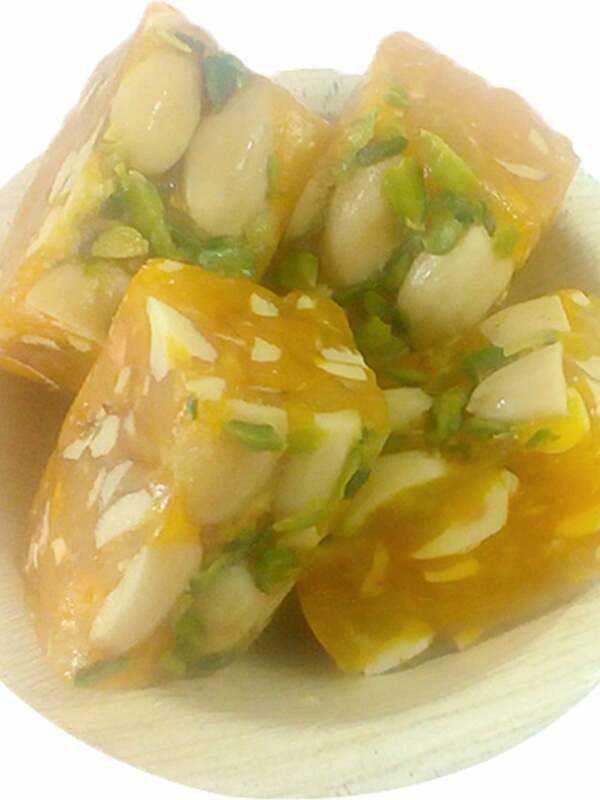 It is a cornflour halwa with cashew nuts and badam, pure ghee and sugar as the prime ingredients. If we talk about its desi ghee preparation, this sweet delicacy requires quite a small amount of ghee unlike other Indian mithai’s. It is majorly savoured during festival time in India, so this time you can make your friend and family taste this unique sweet and foodfeasta makes sure that your hands and tongue won’t stop after having one. It has got a mouth-watering but a little sticky taste. Meghraj & Sons are the specialists in making various types of Karachi halwas. 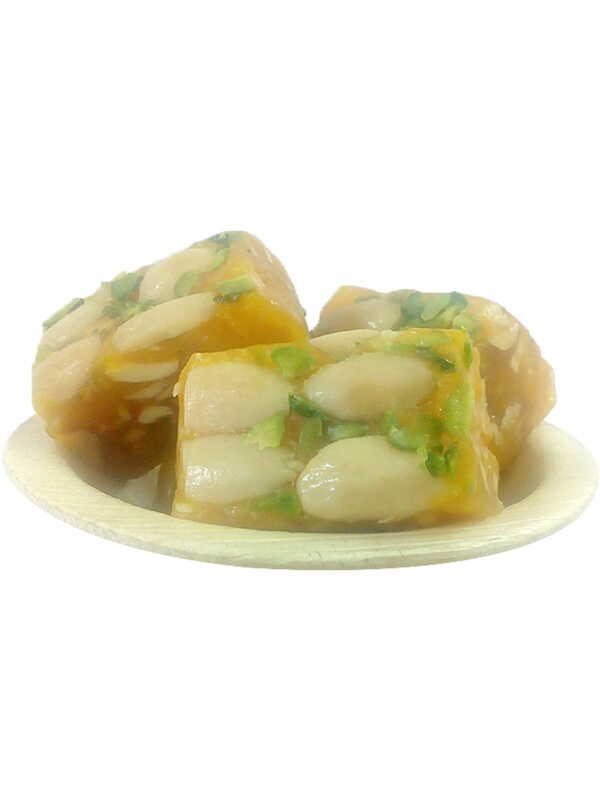 We source Karachi halwa Badam from the specialists itself who are into sweet making business since 100 years now. Storage Store in a cool dry place at room temperature.